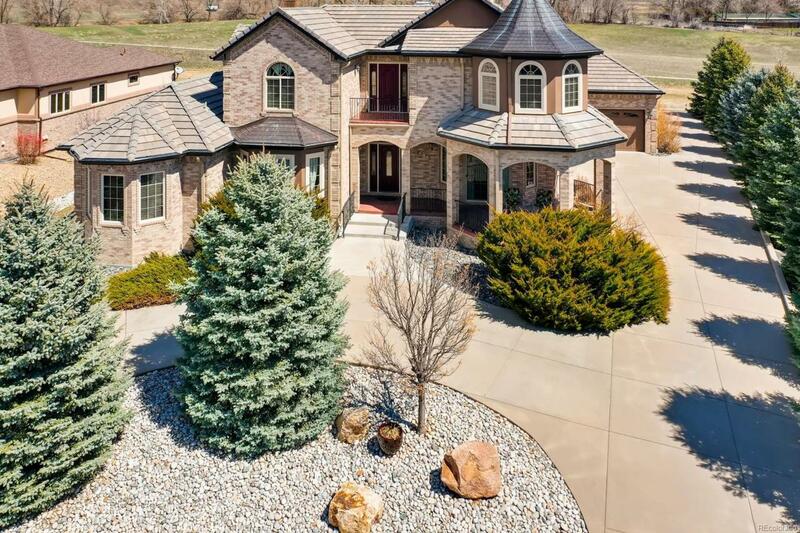 Spectacular custom home in Alkire Estates. This elegant masterpiece has exquisite finishes, sophisticated artisan woodwork, elaborate crown molding & hand-made functional draperies. Home is elevated by wide-plank American cherry floors w/ mahogany & birch inlays & knotty alder cabinetry. 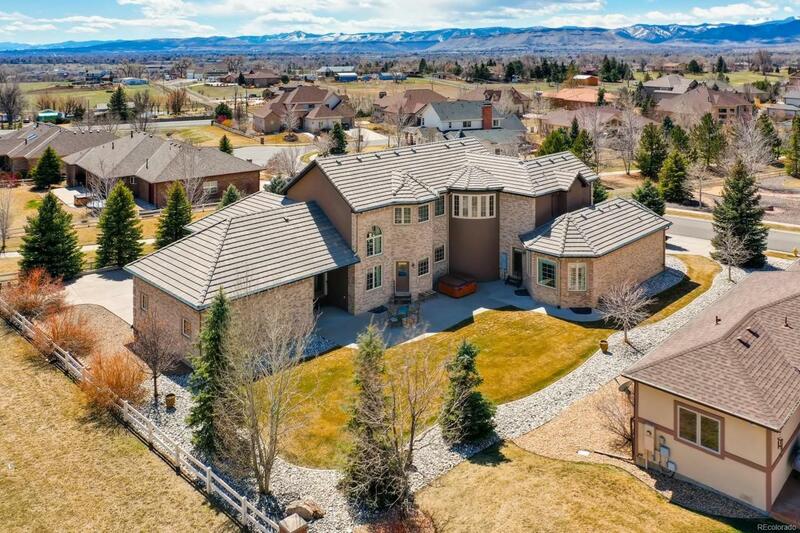 Spacious main floor master w/ coffee/wine bar, walk-in his & her closets, luxurious master bathroom w/ radiant heated flooring underneath natural stone w/ Jacuzzi tub. Completely coffered regal office w/ custom, artisan woodwork boasts a library, built in desk & shelves. Dining room sliding door takes you onto an expansive porch looking west. The gourmet kitchen is designed w/ a huge functional island, high end appliances, built-in refrigerator, huge gas grill & griddle stove, double oven, pot filler & granite countertops + butlers pantry w/ wet bar & wine chiller. Cozy loft upstairs, 3 unique & over-sized bedrooms each w/ its own custom bathroom & a charming widows walk over-looking the mountains.